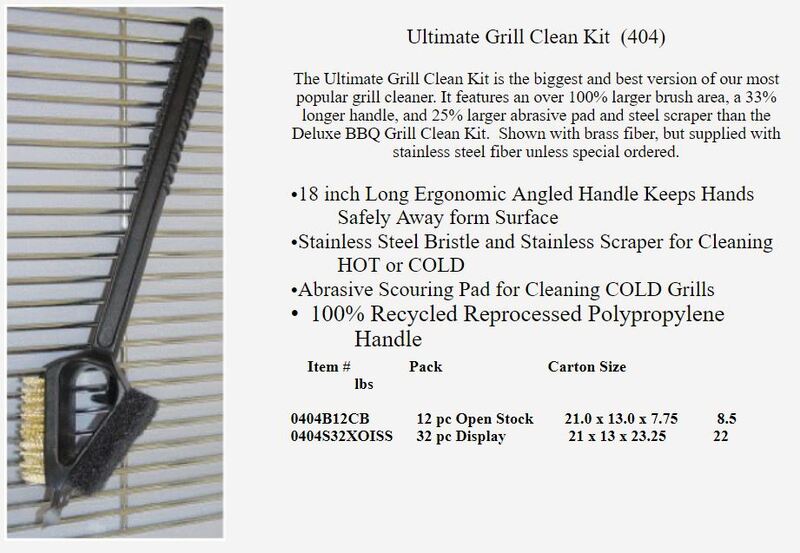 We are now using Nylon plastic bristles in place of stainless steel bristles for most grill cleaning applications. 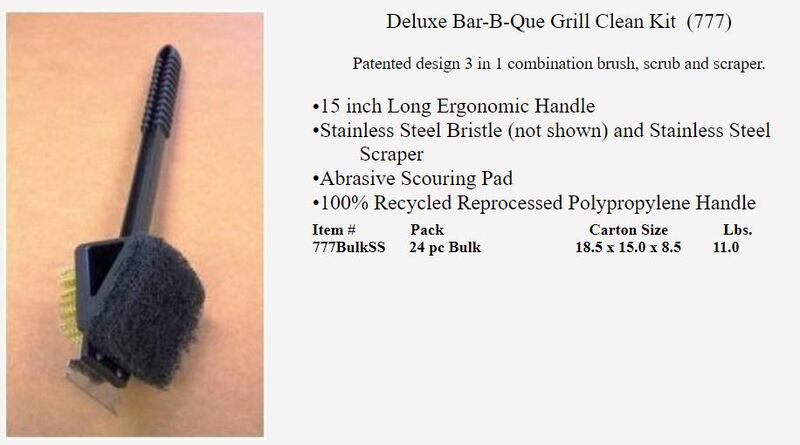 Our unique 3 in 1 brushes with bristles, scrub pad, and scraper are perfect for grill cleaning. The scraper removes hardened buildup, the scrub pad cleans, and the bristles sweep away soot. Since everything except the scraper is plastic we recommend use on a cold grill only. Contact us for your specific brush application. Caution: Use only on cold grills. After cleaning the grill, and before cooking: Ensure the grilling surface is clean of all foreign objects, including any grill brush wires. Keep all food away from the grill and grill area until all grill cleaning is completed. Grill brushes will wear out from use and should be replaced when worn. It is recommended the grill brush be replaced annually to avoid excessive wear and tear that can degrade the brush.